The standard of Inspection BS2006-86 Aluminum collapsible tube for medicine ointment. We are the 3rd largest manfuacturer in collapsible collapsible aluminum tubes industry. Our tube is made of good quality aluminum material with advanced printing machine in a GMP workshop. 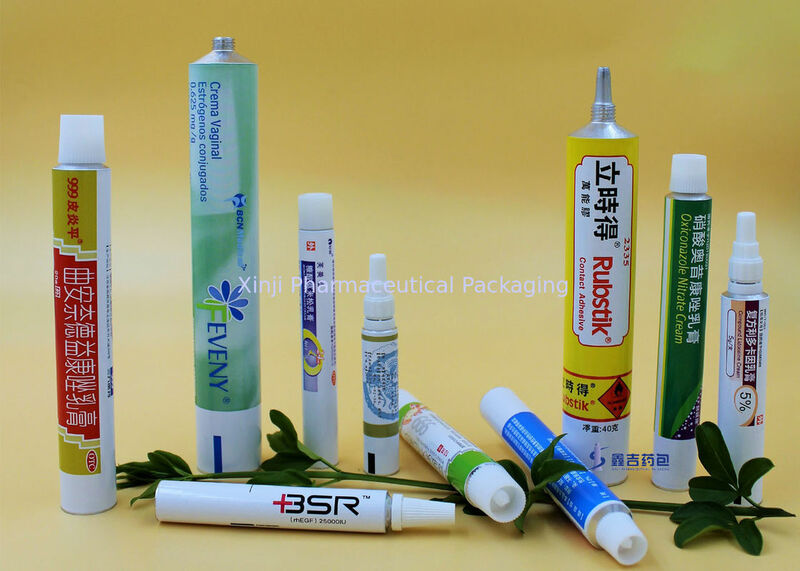 These tubes are widely used for pharmaceutical ointment/cream packing, and also cosmetic packing, such as hair dying cream, hair bleaching cream, etc. 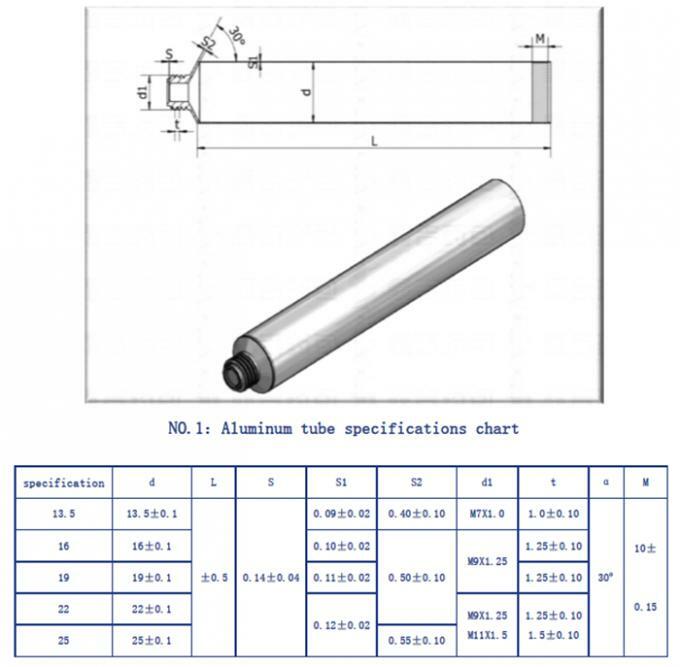 Our Aluminum collapsible tubes are made of high quality aluminum for tube and high quality PP for cap. All materials are new and professional for pharmaceutical package use. We never use re-used materials. Inside the tube, it is coated with a layer of Epoxy phenol-formaldehyde resin. This resin is a stable layer to separate cream/ointment contacting aluminum directly.